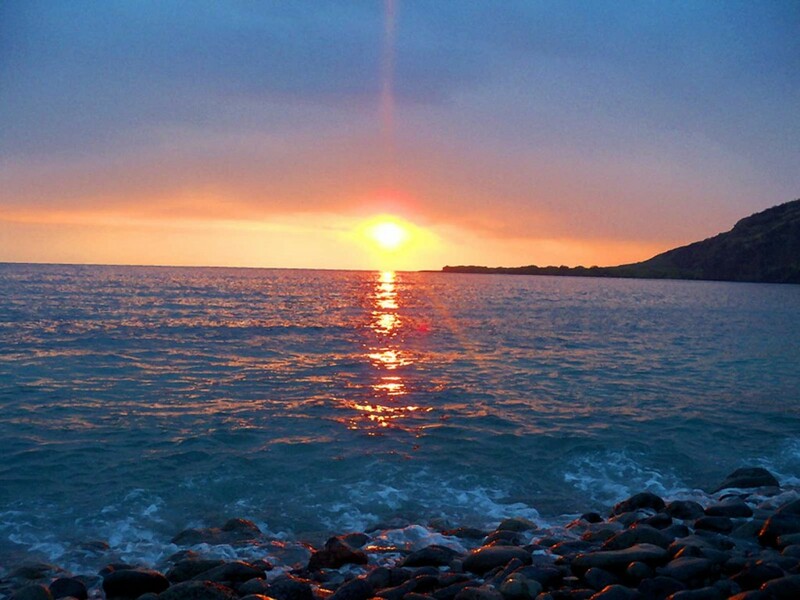 The Napo’opo’o area of Kealakekua Bay on Hawai’i’s Big Island offers up a gorgeous sunset. This historic area was home to several Hawaiian Ali’i (chiefs), including King Kamehameha the Great who unified the islands under a single rule. This is also the very spot where Captain James Cook landed to meet with rulers more than 200 years ago. After a visit, a return, misunderstandings, and a scuffle, Captain Cook was ultimately killed on this shoreline. Watching the sun set in this history-laden spot makes it easy to imagine these events.